Forgiveness is a huge topic. It has different angles, but it' important to talk about it. We are only able to forgive when we allow ourselves to feel and admit we experience hard emotions first. We suffer when we push our pain away when we allow it to come out as anger, ignorance, blame. When we create the illusion of nor suffering, we suffer more. We hate, we hurt. As Alicia Keys sings: "Living for love, unafraid of the end. Forgiveness is the only real revenge"
Let's forgive. Let's see our heart being broken... let's heal. 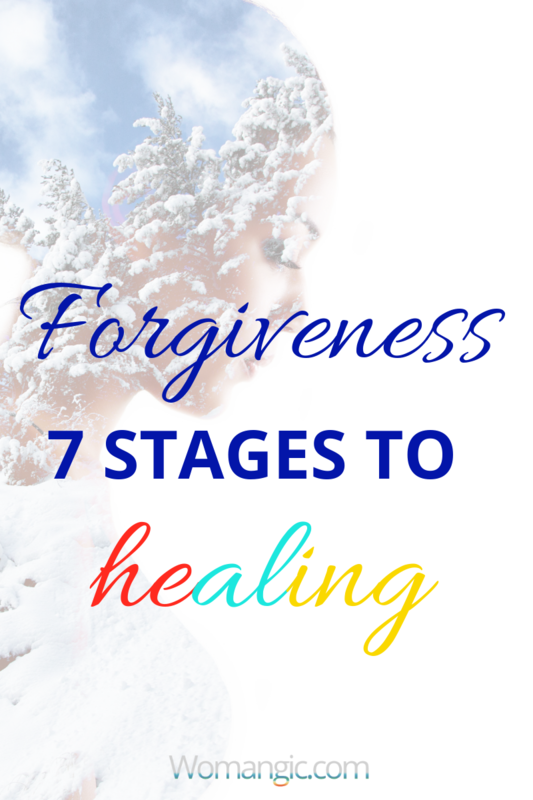 Today I want to share with you a very personal experience, stages I have been going through to find forgiveness, not once, but many times. It was accumulated from different stories, situations, relationships, with my dad in particular. Many patterns I learned from my dad I was repeating with men, and I know many women do the same. Forgiveness is healing. We repeat the same situation only to learn to forgive. I see you; I love you, I try to understand what you're going through, even if I don't entirely. This journey is about acceptance, self-love, responsibility, learning... And I truly hope it can be valuable to you. Please let me know what you think in comments, let's heal together. Why do I want his approval so much? Why do I long for his acknowledgment so much? Do I feel like he is the only person who can understand me? Do I create a void around him? Do I idolize him? My heart screams...I need to give him another chance. My heart screams… Do I idolize him? I put too much on this support, on this love, on this greatest we have. I created too much importance around it. I bet my confidence, my heart, my whole inner being on it. And when it wasn’t enough for him, I bet my personality. I tried to change. If this is what he wants… I took parts of my being, put them in front of him and said: Choose… You choose. He knocked them down with his feet and turned back. I feel on my knees and screamed. Parts of my Soul are knocked in front of me by… By someone to whom I gave my heart. — You can have your heart back, - he says, - I don’t need it anymore. I open my eyes. Am I dreaming? I see my heart bleeding on the floor. I don’t have the energy to stand up. I put my knees to my belly. I stop breathing. I feel water touching my spine. I shudder. My mom… she holds a golden vessel full of warm, clean water. She takes my heart from my shivering hands and puts it in the water. Water washes the durt. She kisses it and kisses my forehead. I cry. My heart starts beating again, so the water can clear the deepest parts of it. I sit on my knees… I can only put my head up for seconds. The parts of my Soul stay together, waiting for me on the side. The sun is rising. It warms my back. My mom calls for my grandmother, my angels, my girlfriends, and teachers. All of them are coming. Now I can feel their presence. I take my heart and put it back where it belongs. Slowly I learn to stand again. Bit by bit I raise my head. My Angels hold my hands when I learn to walk again. My guides stand behind my back when I try to stand again. My heart starts to beat in my chest as it belongs there. I pray for hours asking my Soul to forgive me. I pray for days asking it to teach me to stand again. I can see parts of my Soul coming back to me… bit by bit. I shame myself for being too sensitive; I shame myself for feeling so deep. I walk in the woods. I give this shame to the light. He looks at me again. He wants to talk to me. I am not ready yet. I am scared and run back to my nest. Now I need to heal more. But I can’t fully heal there. I need to go and look him in the eyes. I wait. I walk. I love. I am loved. I wait until I feel strong again. Until my Soul is unshakable again. Until my core is powerful again. He tries to shout to catch my attention. I don’t hear anymore. I don’t run back as I did before. I don’t look in that direction. I heal my heart. All gifts from the Universe I collect, all my Soul nourish me with I give to myself. I don’t gather them to run, stumbling, to run through fields to find him, spread in front of him and let him choose what he wants. I give it to myself. I feel life inside of me again. The way I haven’t felt it for a long time. I feel my Soul coming back to me. I feel strong again. Can you believe it…? Strong again. I don’t need his approval anymore. I never did. Did I love? Oh, Lord, I did. Do I love? Can I look him in the eyes without crying? Can I look him in the eyes without falling back to my knees, without bleeding inside? Can I look him in the eyes and forgive…? I forgive myself first. I forgive myself for abandoning my Soul, for crashing my spirit, for giving away my confidence. I forgive… my pain, my craziness, my self-denial. I see my grandmother saying to me: "You love him, but he doesn’t notice it? But do you love yourself? He doesn’t appreciate you. But do you appreciate yourself?" Healing starts with a decision, with moments, with tenderness. I am back to myself again. I reflect. When did I start losing myself? It happened when my heart shut as airplane wing while boarding. But I haven't boarded, leaving myself floating not too far from the ground. Not grounded, not in the air. What is that? Where was I…? I remember that moment. He screamed at me; he followed me when I was trying to leave. I pressed my back to the wall, closed my eyes not to see anger on his face. He came way too close screaming something. I hang myself like a doll. I put my hands up for the crime I didn’t commit. At that moment my heart shut. I questioned everything. I questioned what I wrote, what I said, I questioned my breathing and walking. Am I breathing right for him? Is he happy? I thought if I shut myself down like a factory, I thought if I am as quiet as possible, as agreeable as possible he will be happier. I thought if I ask him about everything, if I stop making decisions without confirming with him, if I will be less attractive, if I abandon my friends and my life to always be there for him, he will be happier. I thought if I make myself invisible… quite, less bright, less appealing, if I don’t wear short or open if I hide and make the world know I belong to him… I thought it would make him happier. The funny thing it worked exactly the opposite way. Did I make the same mistakes as so many girls do, as so many women behind me did…? The more I shut myself, the more unhappy he became. With every step I unrooted myself, silent my Soul not to speak, his heart was breaking. He felt like he was losing the love of his life, I felt like I was losing myself. How did we end up here, Universe? How did I allow myself to believe I can lose my power? How did I allow myself to believe my power belongs to him? Generations of women behind my back… raised their arms, combing my hair, braiding flowers into them, holding my spine, making my skin feel again. As if I was frozen for so long and the sun has finally found me. He shouts louder and louder. Am I ready? I can see him crying, but he doesn’t know that I see him. Is my heart hurting? Do I want to rush and take his tears to my eyes and cry them for him as I did before? I don’t. I wish him happiness and joy and love. I see him happy. My heart smiles. He shouts for me louder and louder. I don’t run to him anymore, but I allow him to come closer. I look him in the eyes with warmth and love. He is surprised to see me not hurting. He’s angry. — Why aren’t you hurting?? - he asks. — I forgive you, - I say, - I forgive you. He looks at me attentively, as if I can see him again. — And I love you, - I put a hand on my heart as if I I protect it, - I love you so much. But I won't... I won't let you hurt me. I see you; I see your pain. But I won't try to take it away anymore. I accept you... and I forgive. I walk away, stepping on the soft grass. The sun warms my skin. I can see the clouds moving again; I can feel life in my lugs again. My heart... I love myself again. So this is what you meant when you said freedom, grandma…? “With every tear came redemption and my torture became my remedy” (Lemonade).